Cherie Enns Consulting has developed plans for various cities and districts to effectively deal with the issues of homelessness and to provide affordable housing to communities. This includes assisting in securing funding for the development of affordable housing projects and homelessness responses, among other responsibilities. Each city is different in the specific issues they face and the best solution needs to be tailored to those issues. The desired end result is always the same though and we are experienced in formulating custom plans to help this cities reach their goals and provide better living conditions for those that need it. 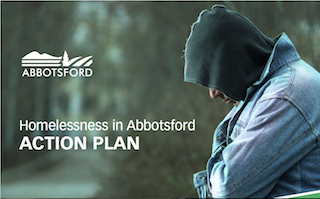 For the City of Abbotsford, CEC formulated a Homelessness Action Plan that follows a role, response and next steps format, outlining and addressing pressing homelessness issues that the City faces. The report assists individuals, various levels of government, faith communities, businesses and social service agencies with responding more fully and appropriately to homelessness in Abbotsford moving forward. 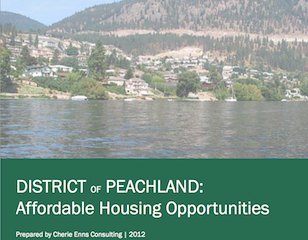 CEC established a plan for affordable housing in the District of Peachland, specific to the development opportunities given a 10% inclusionary zoning policy. Workshops with the community and a developer's luncheon were utilized to better understand the implications, needs, and wants of the community, as well as investigating current market trends, and assessing the projected needs for affordable housing. Cherie Enns Consulting assisted in policy and program reviews regarding development as well as working with a variety of stakeholders throughout the CMHC Flex Housing Project – Harmony Living. The townhouses are home to low to middle income seniors, families and individuals. 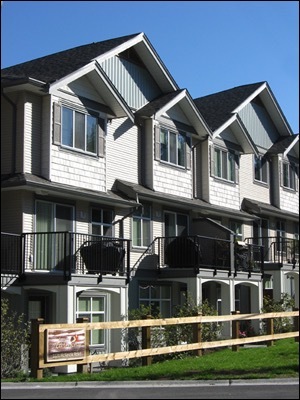 The partnerships, subsidizing, income suites, resell rules and other features make Harmony Flex Housing a permanent affordable housing development in Abbotsford. View the Harmony Flex Housing Project presentation or the CMHC website for more details.